Sheh Fung Screws Company is a fully vertically integrated manufacturer with dedicated sales, quality, and research and development teams providing not only high quality products, but also outstanding customer support and on-time delivery. We have specialized for 45 years in being fully integrated from acquiring raw material, to heading, pinch pointing, threading, heat treatment, electroplating, coating, and finally packaging. We emphasize product innovation, quality, and efficient manufacturing capabilities to meet the demands of all our customers. To further comply with strict US and European regulations, we have invested heavily in quality certifications, as well as state-of-the art manufacturing equipment to ensure the most precise, mechanically sound, and consistently high quality products. We test every order at the beginning and throughout each process to make sure it passes our customers' most stringent requirements. Prior to the heading process, our quality team checks every specification of all wire rods to ensure that they correspond to the requirements indicated on each production order. 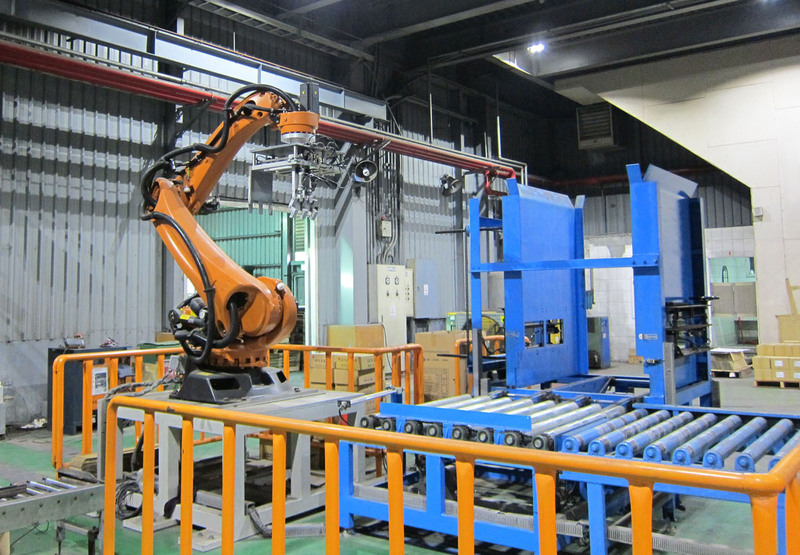 With positions properly aligned and verified, the corresponding molds are installed in the machine to begin the heading process. Then the wire is fed directly into our heading machines which automatically cut the wire at the designated length and each die precisely shapes the head of the screw. 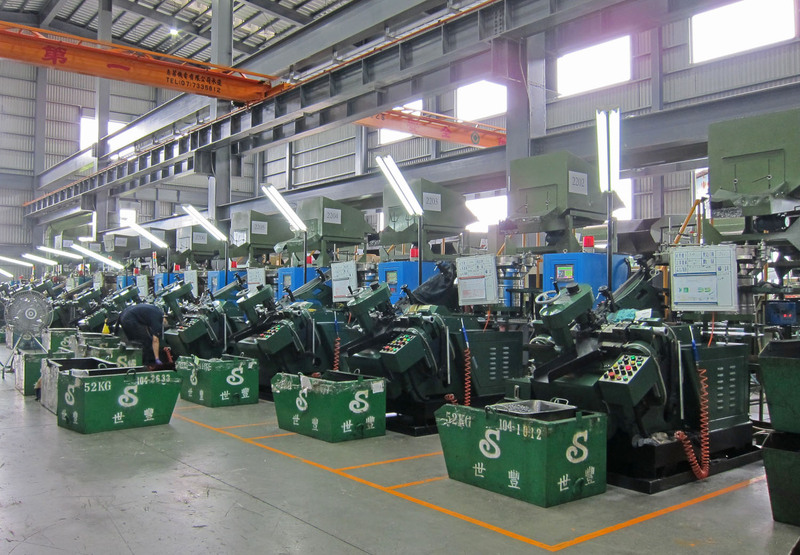 We currently run 57 heading machines that are capable of producing 45 to 200 screws per minute. Regular inspections during this process are carried out to ensure the head is always formed correctly. With self-drilling screws, the point is everything. At Sheh Fung, we pride ourselves in delivering the best quality points possible. 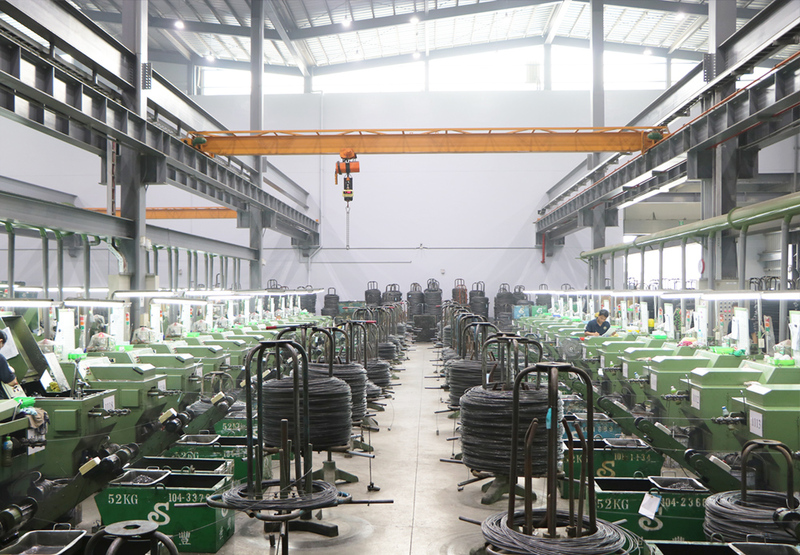 We meticulously test every batch to ensure that every screw will drill into the material quickly and efficiently, meeting our customers' strict requirements. For this reason, our customers trust Sheh Fung’s high quality self-drilling screws and have confidence that our points will work every time. Currently we own a total of 20 pinch pointing machines and are capable of producing up to 500 high quality self-drilling screws per minute. We also have the capability of adding wings to screws when required by the application. Once the head and point are formed, the screw blanks are automatically fed into the threading machines from a vibrating hopper. The hopper guides the screw blanks down a chute to the threading dies, ensuring that they are in the correct feeding position. The screw threads are then formed using a reciprocating die technique, in which two flat dies are used to shape the thread of the screw. One die is stationary, while the other moves in a reciprocating manner rolling the screw blank between the two forming the thread. Currently we have about 40 threading dies which are able to produce 55 to 260 screws per minute depending on the size and type of screw needed. Heat treating is a process that is crucial to perfect as that is where screws gain their strength. Currently we have 4 computer controlled heat treatment lines that are continuously monitored to ensure the screws have the correct hardness and carborization. 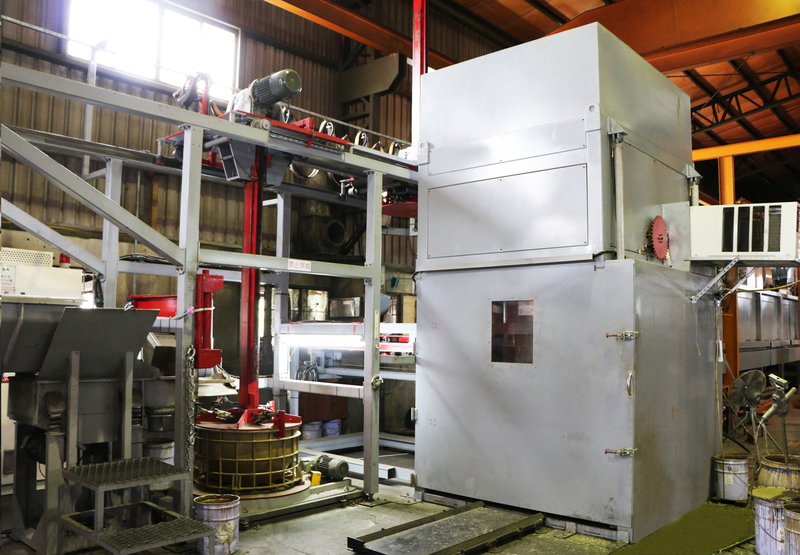 After the initial set up is performed by our skilled and experienced technicians, the treatment is carried out by automatically monitoring the air conditions and controlling the composition of air and gas, while making sure each part of the oven is at the correct temperature. Tight control of this process is crucial to achieve proper strength and durability of the screws. The electroplating process is used to improve the corrosion resistance of the screws as well as the quality of appearance. 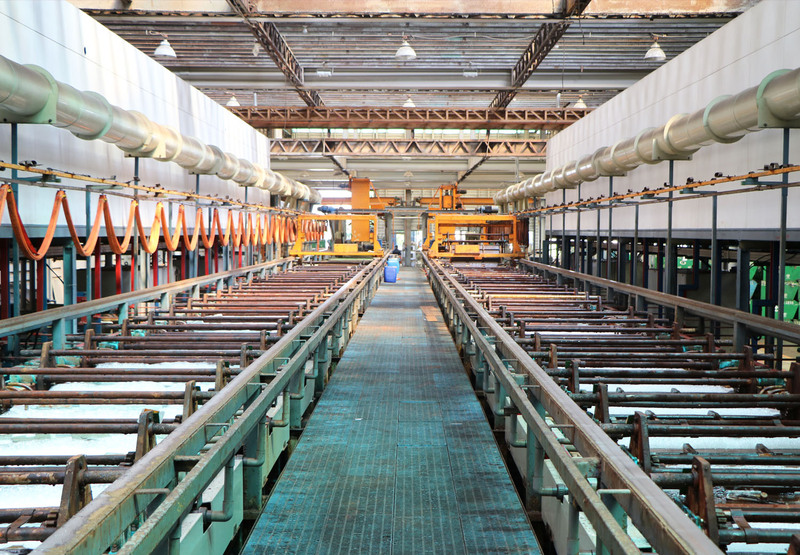 For this reason, we have acquired 2 electroplating lines with 28 plating compartments each to ensure a smooth and perfect coverage of zinc for a superior corrosion resistance. 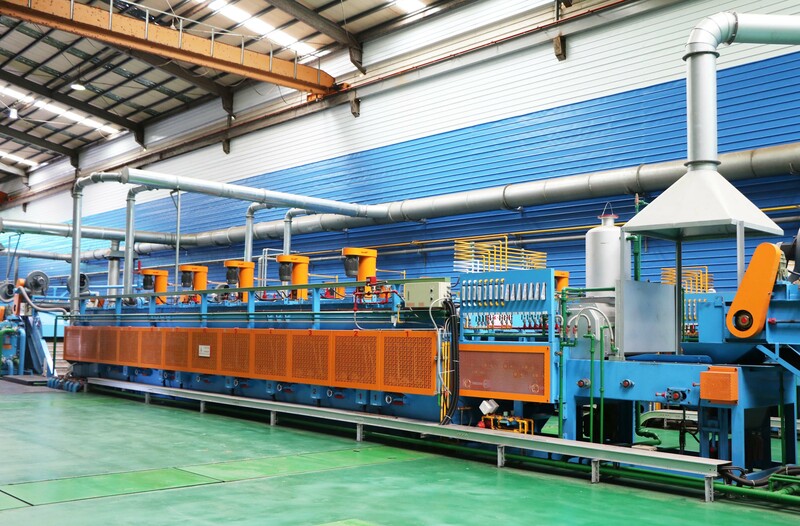 Both lines can process white zinc plating, yellow zinc plating, and green zinc plating with Cr6, Cr3 or Cr free passivation depending on the customer's needs. We are the first screw manufacturer in Taiwan to obtain the QC08000 certification for our superior surface treatment process. This includes having a state-of-the art chemical analyzing system for monitoring any changes during the plating process. Recognizing the need for a durable coating, Sheh Fung developed our own proprietary Kaitex® coating to protect screws from the harshest environments. Depending on the needs of our customers, it can last up to 2,000 hours salt spray testing or 25 Kesternich cycles and is AC257 certified. Currently, we are one of the largest spin coating facilities in Taiwan. Our dip spin coating system ensures that our screws will be evenly covered to the right thickness and not fill the recess with excess coating. Wax can also be applied to our screws to ease installation into wood or steel. We also have head coating capabilities, and offer Ruspert coating if desired. Our Kaitex® coating is available in any pantone or wood color for longer lasting protection. We recognize a good looking package is important to our customers and can add value to their products. We have invested heavily into our packaging capability to offer package options from small boxes all the way to large bulk boxes. We can customize the look, shape, and material to our customers’ designs or offer our own design recommendations. Once packaged, the boxes are loaded onto a wooden crate and wrapped in a waterproof material to ensure the items are protected during shipping. Because good packaging can increase cost, we continuously push process improvements and automation to offer the highest quality packages at the most competitive prices. 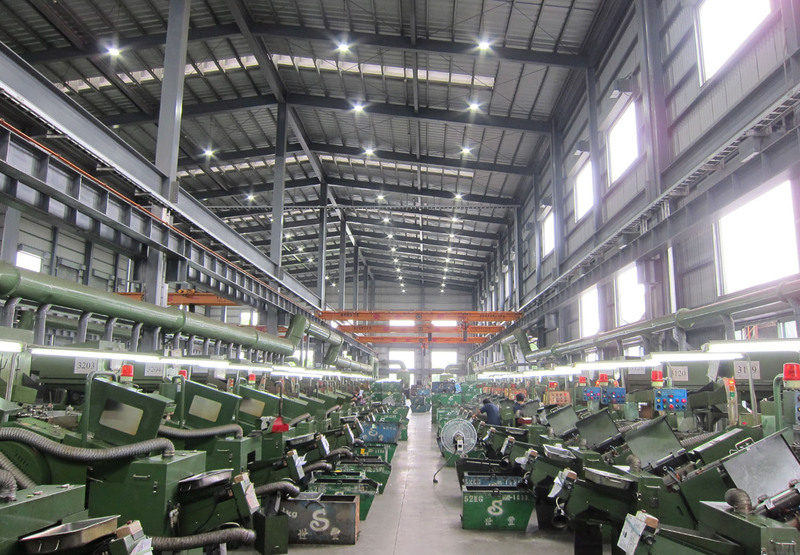 At Sheh Fung Screws, we are committed to not only optimizing our production process, but also achieving sustainable growth while being environmentally conscious. This is why we have invested over $1 Million USD in our waste water treatment facility to move towards a more successful and healthy future. The water used during our processes is piped into the waste water treatment facility where several treatments happen to remove all toxic chemicals that are harmful to the environment. We also filter the air in our factory providing a safe place for our technicians to work while not polluting the air around us. 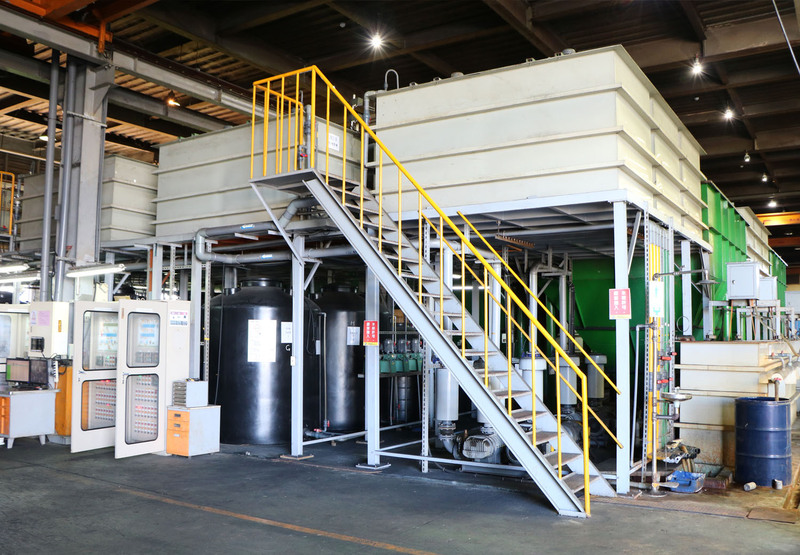 Our treatment facilities easily surpass new regulations by Taiwan’s Environmental Protection Administration (EPA) to control the amount of toxic chemicals that manufacturers discharge. Keeping our environment clean is important to Sheh Fung for generations to come.